How can we provide the right light at the right time for neonatal babies, their parents, and hospital staff? Premature babies are particularly light sensitive and should be exposed to little light, while staff need sufficient light to do their work. Our answer is dynamic lighting: light scenes that adapt to the different tasks, at different times of day. Reports: Part 1 and Part 2 (Swedish). 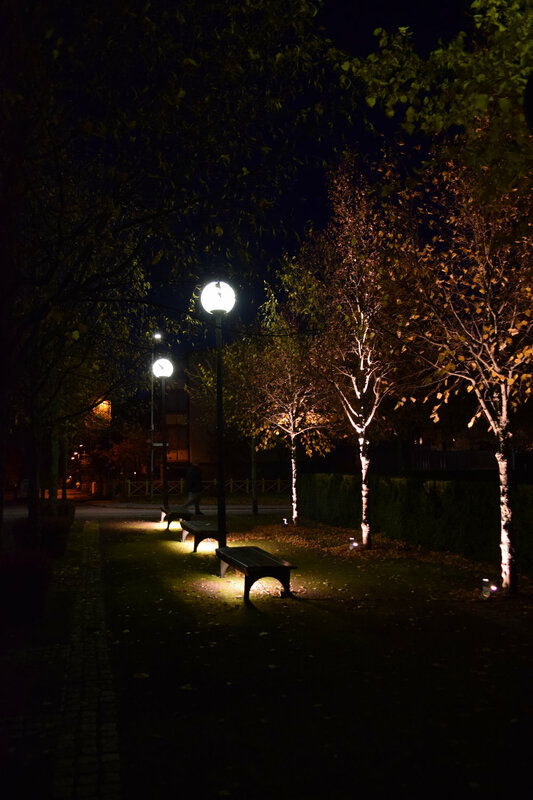 The client is Region Skåne (Sweden) for Helsingborg Hospital and the project is part of Lighting Metropolis. Moum Design AB was lighting design project manager, collaborating with WSP Ljusdesign in Malmö. How would you communicate the subtle characteristics of different kinds of light when meeting clients? The best way is to experience it for yourself. Technologies used in Virtual Reality (VR) headsets today can be used to render advanced graphics forming different light atmospheres. Moum Design AB arranged a workshop to form a business strategy helping the client to find the right balance between technology, price point, target group and concept. The client is Fagerhult and they showcased their first VR Demo during PLDC in Paris, November 2017. 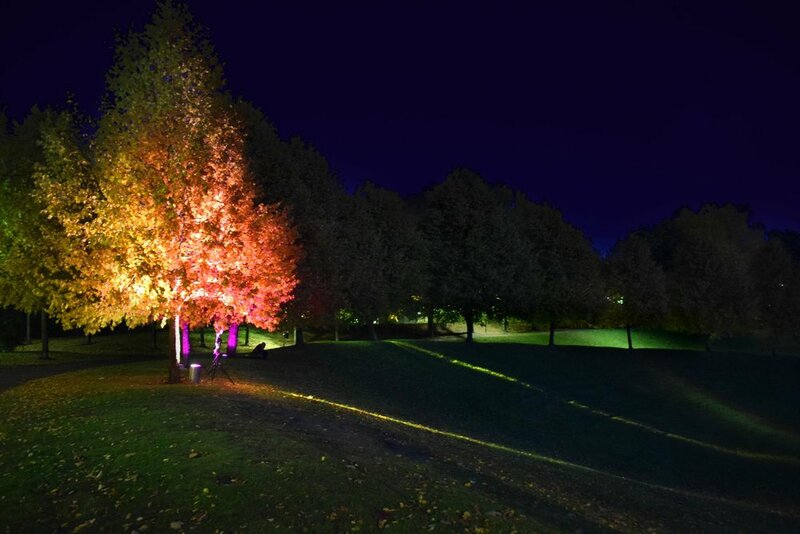 This was a temporary lighting installation in a park. The challenge was to invite visitors to the park, even when dark. The entrance was created in a layered fashion, with three layers of experience, with the next layer partly visible from the previous. Within the park, the idea was to reduce the contrast between the walkways and the abandoned areas, in order to give visitors a visually appealing overview and improve the feeling of safety. 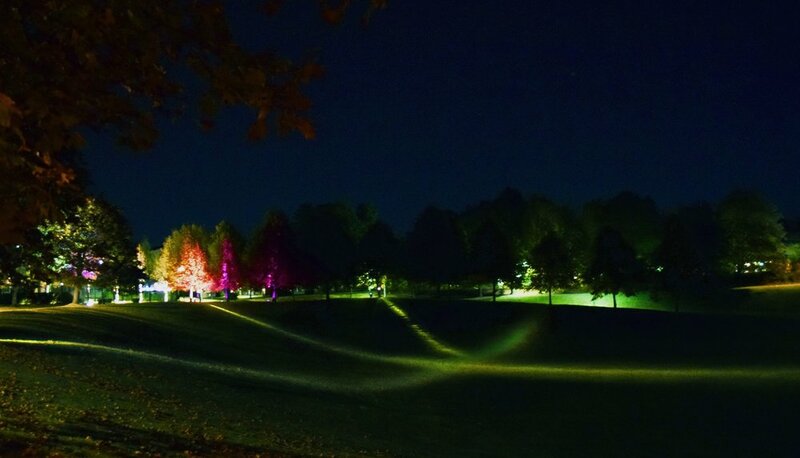 Inspired by search lights, a light pattern was created in the center of the park. In offices and schools, dynamic lighting schemes can improve productivity and wellbeing. The ceiling lights are controlled (3) based on an exterior daylight sensor (1) and an indoor light sensor (2) to reduce glare and optimize contrasts. Our approach is inspired by natural light. Blue light provide energy boosts during the day and is filtered out closer to bedtime. Testing Human Centric Lighting for Neonatal unit. Study visit with Lighting Metropolis, August 2017. In June 2017, Åsa was interviewed on light, productivity, health and biohacking in the podcast Moderna Kompetenser. Click here to tune in (Swedish only). De tar svenskar på pilgrimsfärd till Kinas mekka för hårdvarubolag, Breakit, February 2016. (Swedish). Åsa wrote an article in Fagerhult The Innovator 8 (2016) about blue light and technology trends. Read the full article here. Skärgården öppnar ateljén, SvD July 2005. Åsa was interviewed on bookbinding and art. (Pay Wall and in Swedish). Embed Launch @Hobo Hotel. Åsa talked about light, light rituals and sleep hacks in hotel rooms and showcased Anna Tomschik's design Henyx, February 10, 2018. The concept, design process and solution Lighting for Neonatal care project. Part 1, October 2017 and Part 2, January 2018. (Swedish). In 2014 Åsa conducted a study in Psychology at Stockholm University on blue light and its effect on willpower and performance. With marginal significance, she found that students that believed in willpower as a limited resource were affected by blue light: they performed better in blue light. Read the full paper here.